From Ingrid Bergman in Casablanca, to Audrey Hepburn in Breakfast at Tiffany to Lauren Hutton in American Gigolo, the Trench coat is an iconic piece. How could we forget Catherine Deneuve’s Black patent leather trench by Yves Saint Laurent in Belle de Jour? 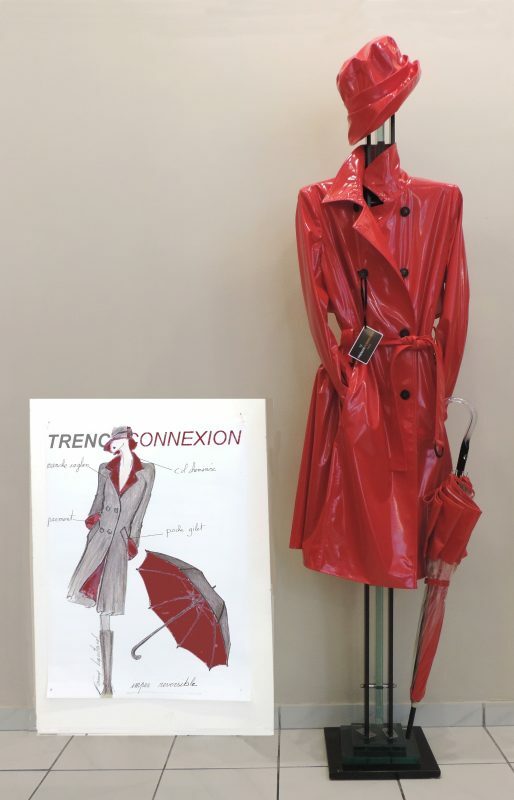 Consistently shown on the runway from both established and new designers, the Trench itself remains one of the key pieces of the Parisian wardrobe. From Hubert de Givenchy to Caroline de Maigret there is consensus: a trench is a must. 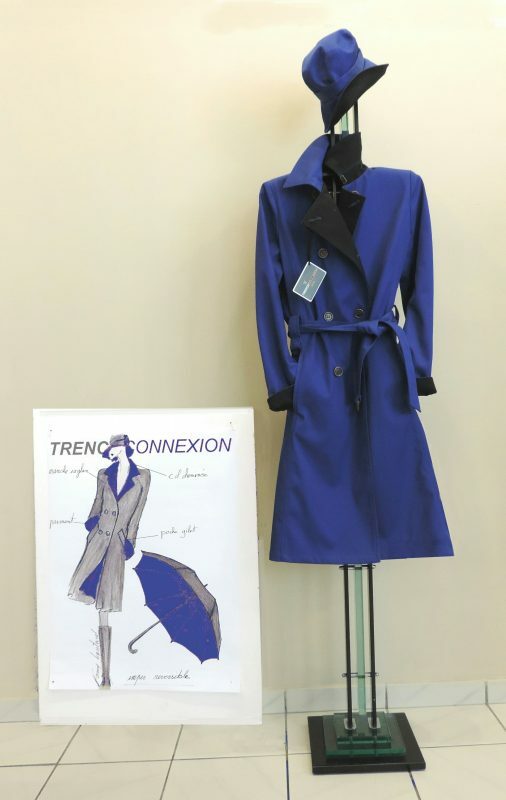 Because its status as a classic is indisputable, the Trench coat is constantly updated and reworked in a variety of colors, fabrics and shapes. They come in basic beige every year from Burberry, Aquascutum and other raincoat specialists, but can also be found in red, black or white, in velvet, corduroy, and patent leather. There are oversize versions, sleeveless versions, even plastic transparent versions. 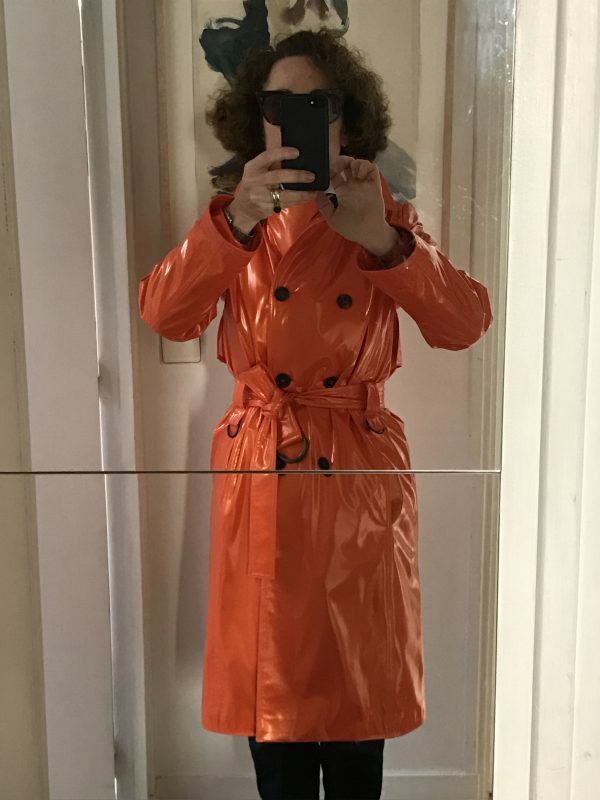 I actually own five trench coats – the classic beige with traditional military details in a dynamic ¾ length; a fabulous knee-length patent leather orange that people stop me in the street to compliment; a navy blue wrap version (that has no buttons) that hits mid-calf; a pale grey canvas version with big patch pockets that is not actually waterproof; and a brown and black one I bought at Lola y Bimba in London a few years back – the body is black and the sleeves are brown and actually zip off if you want to wear the body sleeveless as a long tunic. Living in Paris a trench is an optimal weight; obviously colder climes may call for heavier seasonal equipment. But regardless of the geography a stylish coat is indispensable. In terms of Cost Per Wear it may be your most important wardrobe purchase – you wear it every day for weeks at a time, it has to be excellent quality and retain its shape and form with sustained use. As you know, clothing needs to breathe, and optimally one rotates with at least two coats per season. One final note, a black coat should not be – as they say in French – a Cache-Misere, meaning a way to hide your sins. Black coats might be thought of as practical as they show less dirt, but they are so sad, and so ubiquitous in winter! Furthermore the black often dulls with use and looks old before its time. Think out of the box, there are beautiful darker colours: browns, rich greys, scarlets and navy. Keep in mind, as you choose your coat : everyone you know will see you in it ! Make sure it is flattering and optimistic as well as warm! Now a Personal Stylist, Meredith Keeve has worked in publishing, fashion, cinema, interior decoration and art in Paris, London, Miami and Toronto. 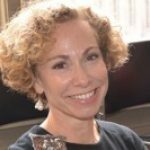 Working as a wardrobe consultant with her French mentor, she learned to identify the ‘closet’ issues women face – the emotional/intellectual relationship to clothes and how clothing can impact and influence how a woman presents and perceives herself. MK chose to specialize in the 50+ customer, attuning her understanding of that customer’s particular needs and desires to determine and implement optimal wardrobe solutions for each individual, in every circumstance.